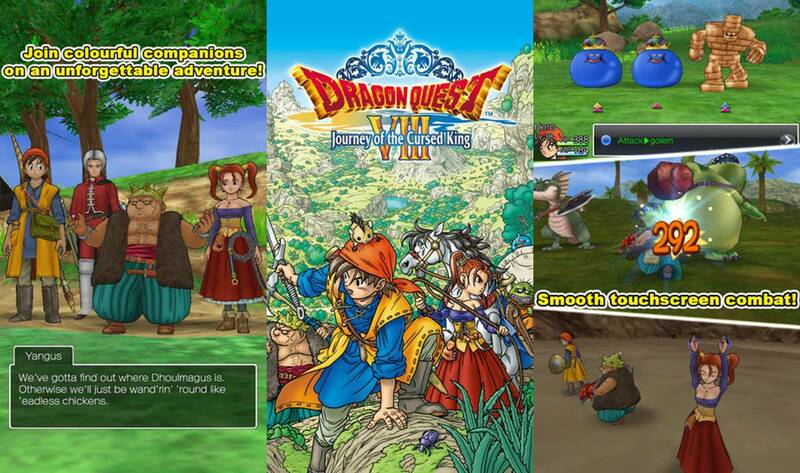 The popular Dragon Quest VIII PS2 game has finally been released for iOS and Android devices and it actually seems like quite an amazing port of the original classic. This mobile version of the game has been given a control system that is supposed to work perfect, with the ability of being able to adjust the position of the direction pad so you can apparently play with one-hand and eat burritos in the other. Also as you can tell from the video below the game can be played in portrait mode. I’m not going to go into detail explaining this awesome JRPG so if you want some nostalgia you can pick up Dragon Quest VIII in the App Store and Google Play Store now for a pricey $19.99, but for everything your getting and no IAP worries, this price is welllll worth it.